The parish was in the Saltfleet sub-district of the Louth Registration District. You can also perform a more selective search for churches in the Theddlethorpe area or see them printed on a map. All Saints Church was apparently built in the 14th century. All Saints Church seats 150. Renee Redshaw provides us with Jenny Birmingham's perspective of All Saints Church. The Diocese of Lincoln declared this church redundant in July, 1973. The Church of Saint Helen was rebuilt in 1865. St. Helen's Church seats 260. 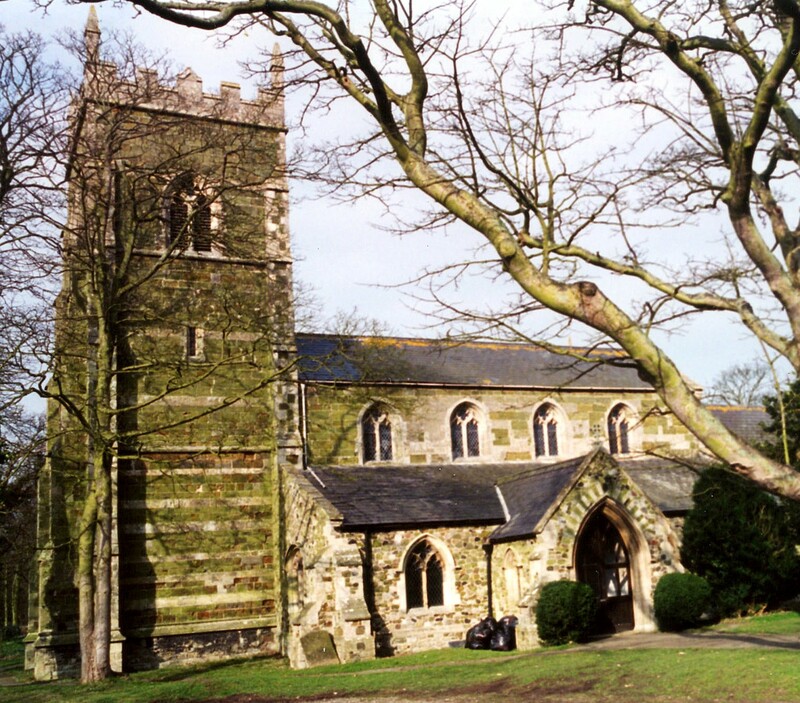 There is a photograph of the Church of St. Helen on the Wendy PARKINSON Church Photos web site. For Theddlethorpe All Saints, parish registers begin in 1560. Bishops Transcripts cover 1561-1839, 1871-1881. 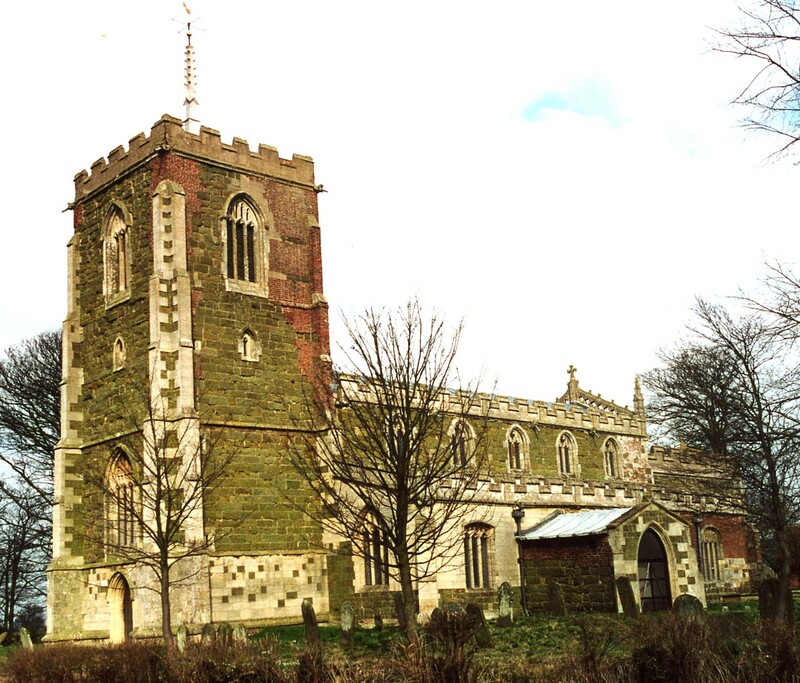 For Theddlethorpe St. Helen, parish registers begin in 1566. Bishops Transcripts cover 1562-1839. We have a Parish Register Extract as a pop-up text file. It does not differentiate by church. The Lincolnshire FHS has published several Marriage indexes and a Burial index for the Louthesk Deanery to make your search easier. There was a Wesleyan Methodist chapel in the village of St. Helen's in 1855. The Primitive methodists built a chapel in St. Helen's in 1852. For more on researching these chapel records, see our non-conformist religions page. Theddlethorpe All Saints and Theddlethorpe St. Helen's are two scattered villages and, technically, two parishes. Both lie about 140 miles north of London. St. Helen's, sometimes called East Theddlethorpe, is on the North Sea coast, north of Mablethorpe and 11 miles east of Louth. St. Helen's, sometimes called East Theddlethorpe, is on the North Sea coast and south of the Saltfleetby parishes. All Saints is inland about 1.5 miles, and is sometimes known as West Theddlethorpe. The two parishes cover about 3,500 acres. By automobile, take the B1200 trunk road east out of Louth, then the A1031 south just as the B1200 reaches the coastline. Watch out for the Village Sign as photographed by Richard HOARE on Geo-graph, taken in 2010. Passenger rail service ceased in December, 1960. Ask for a calculation of the distance from Theddlethorpe to another place. You can see the administrative areas in which Theddlethorpe has been placed at times in the past. Select one to see a link to a map of that particular area. Around 1850, the Louth and East Coast Railway built a station in St. Helen's. The King's Head Inn on Mill road is a good place for a family reunion. It has been around since the 16th century, but has been refurbished to modern standards. James WILSON was the proprietor of the King's Head Public House in 1913. Theddlethorpe Manor was the home and seat of Thomas ALCOCK in 1842. The manor estate included both parishes. David LAILY has a photograph of a World War II pillbox on Geo-graph, taken in 2008. RAF Theddlethorpe was a bombing and gunnery range for RAF Manby. Its opening date is unrecorded so far. It is known that the range was used to test 20mm air cannons during World War II. RAF Theddlethorpe was an active gunnery range in the 1970s, but it was shut down because there was a nearby gas terminal. RAF Theddlethorpe closed in 1973. Both parishes were ancient parishes in Lincolnshire and became a modern Civil Parishes when those were established. Both parishes were in the Marsh Division of in the ancient Calceworth Wapentake in the East Lindsey district in the parts of Lindsey. You can contact the local joint Parish Council concerning civic or political issues, but they are NOT staffed to assist you with family history searches. For today's district governance, see the East Lindsey District Council. The Common Lands were enclosed here under an act by William IV. About 1/5 of the two parishes were included in the enclosure. In 1658, Richard SMITH left £2 and 10 shillings for the poor St. Helen's and the same amount for the poor of All Saints. In 1759, Elizabeth ROOK left 20 shillings for the poor of St. Helen's and another 20 shillings for the poor of All Saints. Date unknown, David ATKINSON left 12 shillings for the poor. After the 1834 Poor Law Amendment Act reforms, the parish was in the Louth Poorlaw Union. Bastardy cases would be heard in the Alford petty session hearings. A school was built in East Theddlethorpe in 1810 to serve both parishes. It was enlarged and improved in 1874.